Lisbon (Portugal), 8 May 2017 (SPS) - Sahrawi human rights activist Aminatou Haidar took part in the honor ceremony dedicated to the memory of Portuguese left-wing fighter Miguel Portas, on its fifth anniversary held Saturday in Lisbon, according to a Saharawi diplomatic source. Bir Lehlu (Liberated Zones), May 8, 2017 (SPS) - The President of the Republic and Secretary-General of the Frente POLISARIO, Brahim Ghali, on Monday conveyed his congratulations to the new president of the Republic of France, Emmanuel Macron. Shaheed El-Hafed (Refugee Camps), May 7, 2017 (SPS) - The First Deputy Minister of Foreign Affairs of Cuba, Marcelino Medina González, reaffirmed Sunday the strong position of his country in support of the struggle of the Saharawi people and their right to self-determination and independence. Bir Lehlu, May 7, 2017 (SPS) The President of the Republic, Secretary-General of the Polisario front, Brahim Ghali, condemned Saturday "forcefully" the terrorist attack perpetrated Friday against a position of the Chadian army based in Kaïga-Kindiria, in the Lake Chad region. El Aaiun (Occupied Territories) May 7, 2017 (SPS) - Moroccan forces intervened violently on Saturday morning against Saharawi political activist on hunger strike Sidi-Mohamed Alouat, in front of his house in the so-called Inaash neighborhood in the occupied city of El Aaiun. Bir Lahlou (Liberated Zones), May 7, 2017 (SPS) The President of the Republic, Secretary-General of the Frente POLISARIO, Brahim Ghali, has addressed a message of condolences to the President of the Islamic Republic of Mauritania, Mohamed Ould Abdelaziz, in which he expressed deep grief and sorrow of the government and people of the Saharawi Republic following the tragic death of former Mauritanian President Ali Ould Mohamed Fal. Shaheed El-Hafed (Refugee Camps), May 6, 2017 (SPS) - Cuban First Deputy Minister of Foreign Affairs Marcelino Medina Gonzalez will Sunday undertake an official visit to the Sahrawi Republic, according to sources of the Cuba Ministry of Foreign Affairs. Asturias, 05 May 2017 (SPS) - The General Assembly of the Principality of Asturias urged Friday European, Spanish and Asturias companies to “cease activities that may favor the perpetuation of the Moroccan occupation of Western Sahara and the exploitation of its natural resources,” in a resolution adopted during its plenary session. 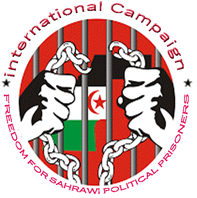 Bir Lahlou (Occupied Territories), may 5, 2017 (SPS) - Sahrawi President, General Secretary of the Polisario Front, Brahim Ghali, affirmed that the international community "cannot remain indifferent" to the flagrant abuse by the Moroccan occupation of Sahrawi human rights as well as the real t and permanent threat, which constantly weighs on human lives.